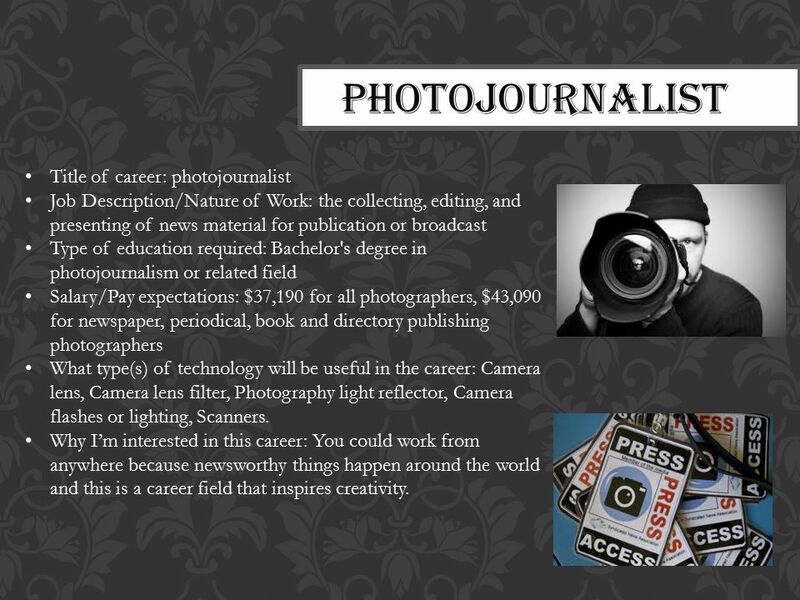 Journalism is a broad aspect with various vocation in sports, film and television, photo,print etc. One of the most famous stream is Photojournalism now days.It is an integral part of journalism as photography plays vital role in depicting reality of life, events etc through pictures.The term earlier was restricted to only photography but now has been widened and also include work like shooting videos and come up with a good news item/feature.It requires photography skills and aesthetic to the area of news reporting and journalism.It is a practice of telling story with the help of the clicked photos and create images in order to tell news story.Photograph has relevance in both print and broadcast media. The journalist has the responsibility like collecting, editing and and presenting of news material (pictures) for publication or broadcast to the news media like newspapers, magazines, television channels, websites and other journals. A photographer is a person who with the help of clicked photos make news story.An image is as important as news report as picture depicts the whole story more clearly to the readers and viewers.A photojournalist work with reporters and editors and the article is accompanied by a photograph, the subject matter is much communicable to the readers or viewers than a news without images.If one is zealously planning to pursue a career in photojournalism, the basic keen interest in journalism is very much necessary. A role of photographer is as important as Reporter because without him the news story has no relevance. There is no such institution in India which exclusively offer degree or diploma course in Photojournalism.It is included in various courses such as Journalism and Mass Communication, Advance diploma, Film and television art& craft etc.Universities and institutions prefer written exam and Interviews and student has to qualify so as to get admission for the same. A student who want to pursue photojournalism as career has to opt above mentioned courses.His education is recognized as professional education, usually referred to by different terminologies, namely – photo editing, layout and design, fundamentals of photography, electronic editing, advanced photography, digital imaging, fundamentals of digital technology, basic and advanced photojournalism, film editing, fundamental principles and practices on videography, moving and still photography, etc. depending on the emphasis on different aspects of photojournalism. 1.YMCA, Jai Singh Road, New Delhi. 3. Satyajit Ray Film & Television Institute, EM Bypass Road, Kolkata. 4.Film and Television Institute, Pune. 5.Indian Institute of Mass Communication, New Delhi. 6.Sri Aurobindo Institute of Mass Communication, Sri Aurobindo Marg, Near IIT, New Delhi. 7.National Institute of Social Communications, Research and Training, A-2, Sector-1, Vaishali, Ghaziabad, Uttar Pradesh. 8.Symbiosis Institute of Communication, Pune. 9.Amrit College, Railway Colony, Poojappura, Trivandrum. 10.IILM Film & Media School, 3 institutional area, Lodhi Road, New Delhi. 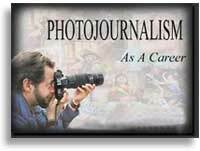 Hope this article will help you to get adequate information about Photojournalism.